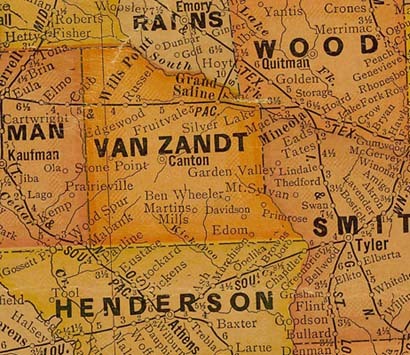 Silver Lake, Texas, Van Zandt County. 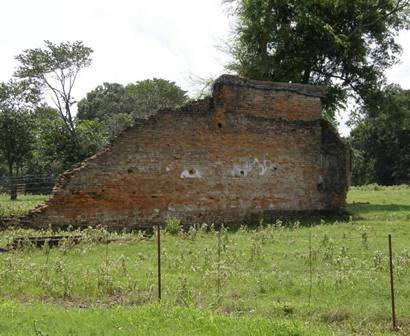 Settlement dates to the mid 1840s when John Jordan filed claim to a large tract of land along the banks of the Sabine River. 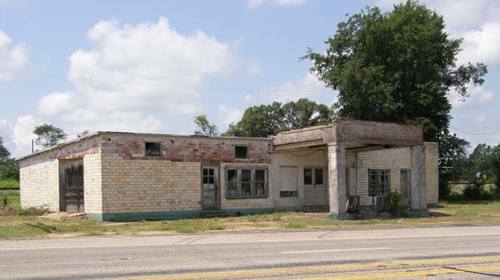 The town became a stop on the Texas and Pacific Roalroad in 1873 and the name comes from either a legend of silver being hidden in a nearby lake or the simple (and more likely) reason that the lake gives off a silvery reflection. The T & P chief engineer of the Texas and Pacific bought land and platted the town in 1874-1875. Silver Lake had it's own post office from 1874 to the 1930s. The population was 80 in 1914 but when the Great Depression arrived it declined to about 50. In 1974 it had an estimated population of 42.